Renowned for their impressive running abilities, embark on the journey of a Sukurúame -- a Tarahumara shaman -- as you fight back the foulness corrupting the land, while drawing upon the powers of demigods. Draw upon the powers of demigods and battle fearsome creatures pulled from the rich lore of the Tarahumara people. 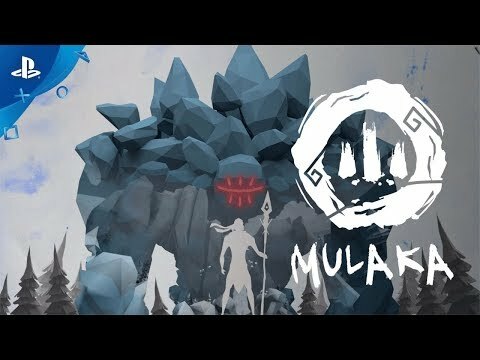 Mulaka was designed hand in hand with renowned anthropologists and Tarahumara leaders to capture the true essence of the culture in the game. From narration in their indigenous language, to music unique to the region, experience an authentic representation of Tarahumara culture. From solving puzzles in environments inspired by real Sierra Tarahumara locations, to heated hand-to-hand combat with creatures pulled from the region’s mythology, find out why the Tarahumara have earned a reputation for being superhumans. Harness the renowned athletic talents of the Tarahumara as you engage in fast-paced platforming and hand-to-hand combat. Traverse a 3D world inspired by the legendary, real-life landscapes of northern Mexico, rendered in a vibrant, low-poly visual style. The Mulaka and Lienzo words, marks and logos are registered trademarks of Desarrollos Tecnológicos y de Entretenimiento S.A. de C.V. All rights reserved. Artwork and electronic files under this name are intellectual property of Desarrollos Tecnológicos y de Entretenimiento S.A. de C.V.